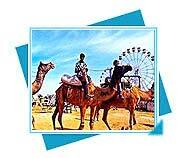 Pushkar fair brings energetic the rich tradition of Rajasthan enhancing the glory of the golden sand. Pushkar, separated from Ajmer by Nag Pahar, the 'Snake Mountain' is right on the edge of the desert. The town clings to the small but beautiful Pushkar Lake with its many bathing ghats and temples. Pushkar, separated from Ajmer by Nag Pahar, the 'Snake Mountain' is right on the edge of the desert. The town clings to the small but beautiful Pushkar Lake with its many bathing ghats and temples. 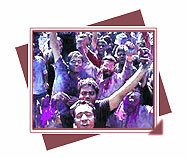 A spiritual festival with simple & traditional rituals. 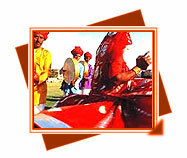 Quaint rhythms conjure up the tribal cultural identity of the Bhils of Rajasthan, Gujarat & M.P. Baneshwar means the master of the delta and this name was given to the Shiva linga. 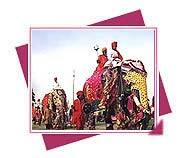 The year unfolds with the Camel Festival at Bikaner in January. The enchanting desert city comes to life with joyous music, lilting rhythms and gay festivities. 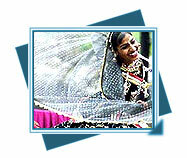 The Elephant Festival is an inimitable event held annually in Jaipur. Groomed flawlessly, rows of elephants do a catwalk before an enthralled audience liked best fashion models to make this festival an amazing one. Holi, the Indian festival of colours is famous in the capital with huge vigour and delight on the day of the full moon in the month of 'Phalguna'. 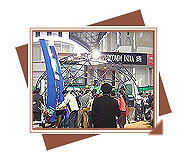 The International Trade Fair starts on the 14th day of the November month each year and is held at the Pragati Maidan. This fair is a major occasion for the Business community. 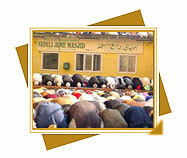 Id-ul-fitr is most often celebrated in the wintry weather. It marks the end of Ramzan, the month of fasting for Muslims. This day is also called Meethi Id (sweet id), because of a special sweet called "Sevaiyyan", a kind of vermicelli, which is cooked on this day. 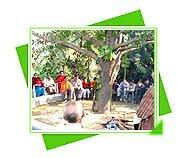 Teej heralds the onset of Sawan (monsoon), which is necessary for the agricultural prosperity of the state. Dressed in all their finery, with mehndi on their hands, the womenfolk converge to welcome the rains. The festive occasion has them on their feet with gidda and kikli (two folk dances). With the begin of the Surajkund Crafts Mela in 1981, Haryana Tourism set a precedent in organizing cultural events on a national level. Now internationally well-known, the fortnight long fair also celebrates the rhythms of folk theatre - all of which endear one to the simple charm of the Suraj Kund Mela village. 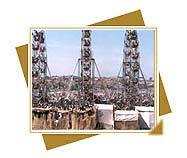 To many people, especially the Tamilians, the Makara Shankranti ushers in the New Year. The newly-harvested corn is cooked for the first time on that day. There is famous saying that goes�One who knows Delhi is a loser and one who doesn�t know Delhi is also a loser. Which is very true. Haryana is situated in the heart of North India which means that most of the main routes connecting Delhi to other parts of India pass through this state. Nestled in the Himalayas, Himachal Pradesh is blessed with some of the most spectacular and beautiful landscapes. Located in the northern part of the Indian subcontinent, the Indian state of Jammu and Kashmir lies in the vicinity of the Karakoram and western Himalayan mountain ranges. The word Punjab is derived from the word meaning Five Rivers namely: Indus, Ravi, Sutlej, Beas, and Jhelum that flow towards the southeast crossing the entire state. 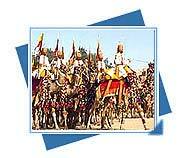 Rajasthan- the Land of Rajputs is a majestic tapestry of camels plodding over soft sand dunes of the Thar Desert. This nascent hill state is situated on the foothills of Shivaliks and is actively being promoted for tourism by the state government. 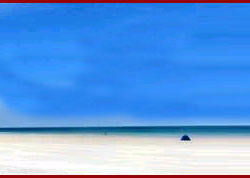 Uttar Pradesh is a panorama of diverse cultures and religions and encompasses a breathtaking landscape within itself.